Order today for pick up tomorrow! 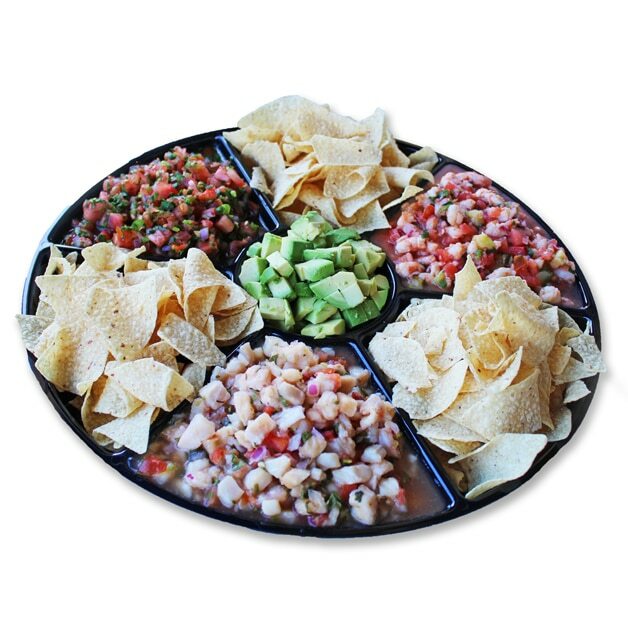 Any day can be a party with our Ceviche Platter. Flavorful Fish Ceviche, Shrimp Ceviche and fresh Pico de Gallo are complemented with diced avocados and white corn tortilla chips. It’s a fresh, crunchy fiesta in every bite.